The primary audience of the workshop are computer software developers who use any of the agile methodologies (e.g. Kanban, Scrum, and others). However, the workshop is also useful for those applying agile for managing projects other than software development. What can I learn in the workshop? 1- In the workshop, you will undertake a self-scorable personality assessment called Myers Briggs Type Indicator (MBTI). This will help you to learn deeply about your own personality preferences (e.g. preference for extraversion or introversion). You will discover your own personality type code and will learn about the other codes. 2- In the workshop, you will undertake a self-scorable personality assessment called Fundamental Interpersonal Relations Orientation-Behavior™ (FIRO-B). This will help you to learn deeply about your own interpersonal needs (e.g. inclusion, control). You will discover your own FIRO-B profile code and will learn about the other codes. 3- You will learn how to use personality as a leverage for improving your communication and teamwork with others in an agile team. 4- You will learn why you feel more comfortable in adopting one agile approach than the other ones. How the workshop is structured? In three parts. Initially, you will undertake the personality assessments. You will then learn about the assessment methods, their applications, and your own profile codes. Finally, you will learn a broad and diverse range of strategies for face-to-face and written communication, giving and receiving feedback, managing project time, sharing tasks with others, and work relationship. The workshop will include several group activities. You will find these activities very engaging and joyful! Dr. Paul Hedayati will be your trainer and the workshop facilitator. Paul is a qualified trainer with certifications in MBTI and FIRO-B administration. He has delivered personality-related training workshops for over 200 people. Based on the feedback received, over 90% of the participants have found the workshops useful or very useful. 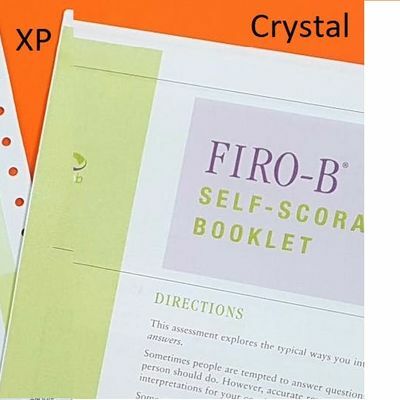 The costs of the assessment forms, one MBTI booklet, and one FIRO-B booklet are included in the workshop's ticket price. These items collectively worth over $200. You will pay no extra money for these items.